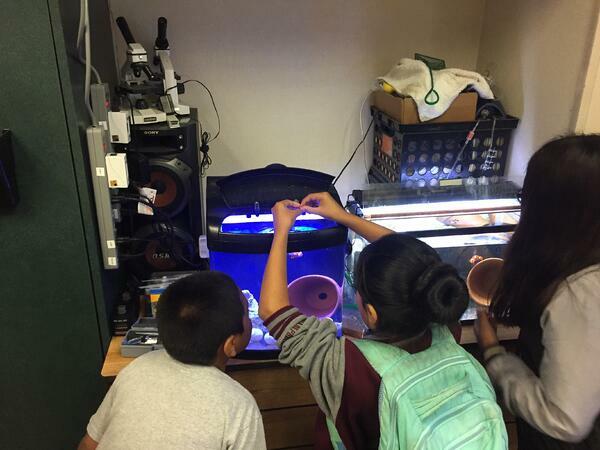 Did you know that you can easily integrate technology and other scientific tools into your science classroom for a smarter lab? We see on a daily basis how quickly technology evolves, and how our capabilities as an inquisitive species allow us to continually push the envelope of who is capable of taking high quality scientific measurements, and how easy, transparent, and reliable that process is. Emphasizing tools that can provide a realistic experience similar to what one might face in their future career not only helps to better prepare students, but at the same time these tools often allow better integration into a modern classroom, and at the very least, can be highly engaging and a great deal of fun! Laboratories everywhere are always looking to improve, and we see this through efforts to modernize and increase technology level in order to remain current and compete in a world class scientific space. Scientists are more likely to strive for higher quality data, and put procedures and tools in place to ensure the accuracy and traceability of that information. On the more advanced side, laboratories may integrate their instruments to communicate with each other, but simpler steps like the electronic storage of data, such as within Electronic Lab Notebooks (ELNs), are becoming commonplace in laboratories. In an environment where research is occurring, quality is being insured, or an educational experiment is being carried out, the greater the ease with which data can be recorded and analyzed, the better the outcome, and the risk of a mistake in data integrity is reduced dramatically. This is why more and more frequently regulations are mandating these improvements. Today, dangerous mistakes are not simply accepted without fully understanding the causation. The greatest scientists to have graced the world with their acuity got their start as a curious pupil. By planting seeds of inspiration and showing students how they can not only apply themselves to the assignment at hand, but rather to the grander problems the world has to offer, we can offer perhaps the greatest service to our race by investing in scientists at a young age. In the modern era of standards-based learning, we define the minimum standard to which we hold students so that regardless of where you learn, the opportunity to gain the same knowledge will be there. To prepare science students for a potential future working in a laboratory, educators strive to provide as realistic of an experience as possible. Practices such as requiring autonomy on projects fosters critical thinking skills, and gaining actual hands on experience with modern technologies and scientific techniques that are similar to what scientific professional would use provides graduates with a distinct advantage when going into the work place. In additional to translatable skills and experiences, modern tools produce greater transparency and easy sharing of data, and are also usually a lot of fun! Some common examples of newer technologies that have really evolved the science class room include SMART Boards (https://education.smarttech.com), and Microsoft OneNote. SMART Boards allow for notes, math problem, diagrams, data, etc. to be shared with a class at once. These are interactive and digital, and do away with analog recording means such as chalk and marker which otherwise are temporary and static. Similarly, the advent of OneNote has changed how many educators structure their classes. Similar to ELNs, OneNote allows for a shared class notebook where resources, assignments, and student data can be stored and shared. In both cases, these are examples of technologies which focus on bringing about an easier, more integrated, transparent, and fun learning process. As a thought leader in science, we realize our unique yet critical role of assisting both scientists and the common person around the world with obtaining quality information. We strive to push the envelope by finding innovative ways to make science easy and accessible. This means that the instruments we make must be easy, accurate, and affordable, and must also be engineered with the modern laboratory and the future in mind. Because of this, our instruments can be found in the hands of scientists and students around the world. After all, ideas are the currency of innovation. 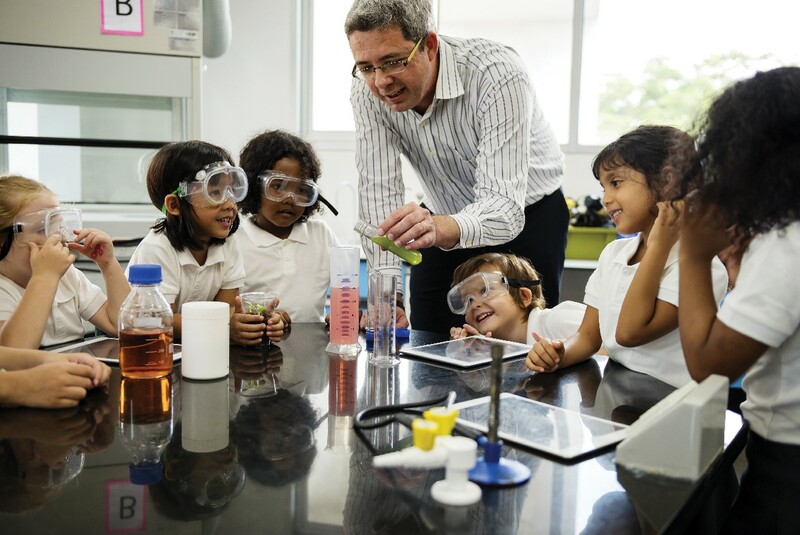 Here are some interesting lab ideas that can help you bring superior or more technological tools into your science class. The second most common analytical parameter measured in the world! Try implementing some interactive labs in order to teach students about pH. Move away from less professional approaches like pH paper and test kits, and use a modern pH meter like the HALO Bluetooth Electrode which can interface with a tablet or phone for a more professional and fun testing experience with digital data. Compare Buffering Capacity of Soils or Waters – Using samples from different locations, design an experiment where students can compare pH readings, and even manual titrations via pH, and assess the reasons and implications of these differences. Looking at Acid's Effects on Metals – Acidic compounds can react with metals. Students can explore how different acids will react with a copper penny to different degrees, and test their hypotheses by testing the pH of the different acids. Comparing Acidity of Rainwater – Able to collect rainwater from different locations? Investigate how the pH varies from one location to another and the reasons why that might be. Classroom plants, fields, farms, and back yards will all have different soil properties! Similar to pH, there are some great ways of structuring labs around analytical tools with the focus on soil quality parameters. Consider tools such as our Soil Quality Backpack Lab, which is an all-inclusive testing kit for students including a teachers’ guide with lesson plans. Soil’s Effect on Plant Health – Explore plant health as it correlates to soil properties. Compare soil properties like pH, Conductivity, and nutrients such as nitrogen, phosphorous, and potassium from different locations or plants and explore how these properties are affecting plant health. From surface water, to ground water, to tap water, and even marine or aquarium water! Water is the universal solvent, and this means that there are a lot of things available to be measured! Consider testing solutions such as the fully inclusive Backpack Labs for fresh water, and for marine water. 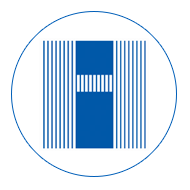 Small pocket sized colorimeters like the HC Checkers are also extremely useful as a way to get away from color based test kits, and produce more quantitative and less subjective results to draw conclusions from. Comparing Drinking Water Sources – By looking at things like pH, chlorine, fluoride, and even alkalinity, it can be very interesting to compare drinking water sources from different students and areas. Inferences can be drawn too, such as to the distance the water travels to the tap based on chlorine consumption. Water Quality of Surface and Ground Water – Using samples from different locations, design an experiment where students can compare pH and other water properties from streams or ground water and assess the geological, environmental, or ecological reasons and implications behind these differences. 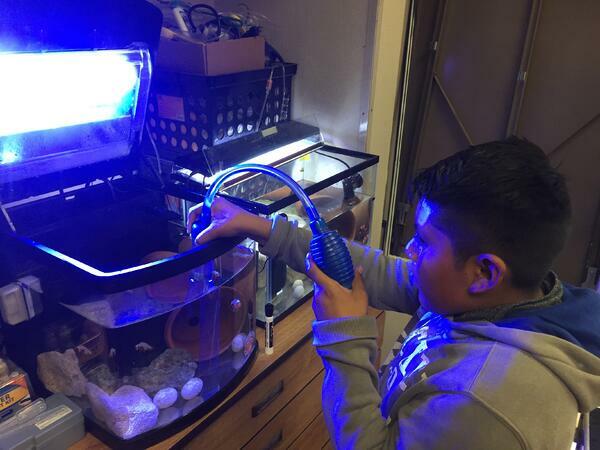 Marine Life and Aquariums – Keeping an aquarium is common in schools and the educational value only increases when objective quantitative measurements can be made about the water properties such as pH, nitrate, alkalinity, and phosphate. This information can also be really interesting in the context of a marine life experiment where the experimental design includes the controlled variation of key parameters that can be accurately measured for drawing superior conclusions. Science is the irrefutable constant – the field of study where the discarding of facts is a choice. As is always the case with science and scientists, the drive to improve, innovate, and streamline the ways in which we explore science, record observations, and prove our hypotheses is everpresent. We see this in the way that modern laboratories continually innovate, in the way that our standards for scientific excellence are always rising to a higher specification, and in the way that our educators try to prepare the students of today for real world success tomorrow. To all of the educators out there, we thank you for challenging the status quo of what it means to learn and prepare for the future. As innovators we hope to make your job easier, smarter, and more fun for students and educators alike.